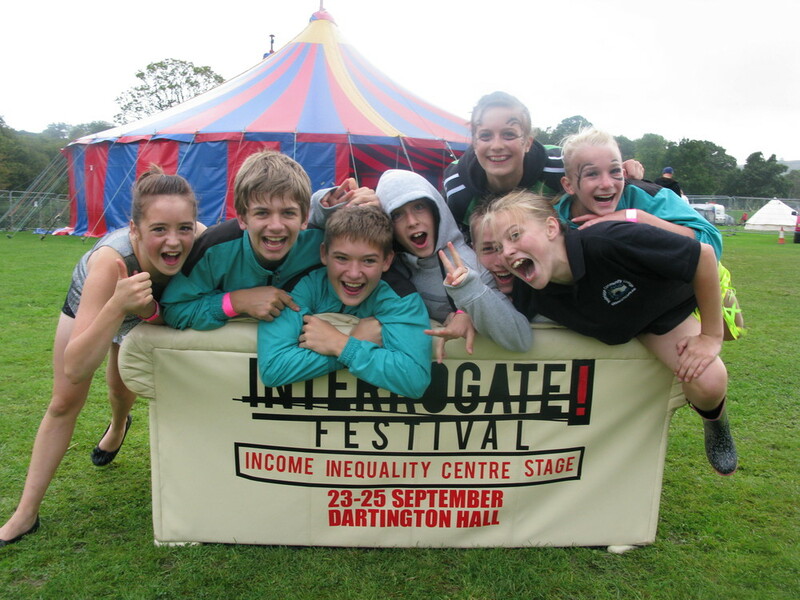 In 2011 and 2012, the hub worked with Dartington Hall, to curate and produce a new event called INTERROGATE! 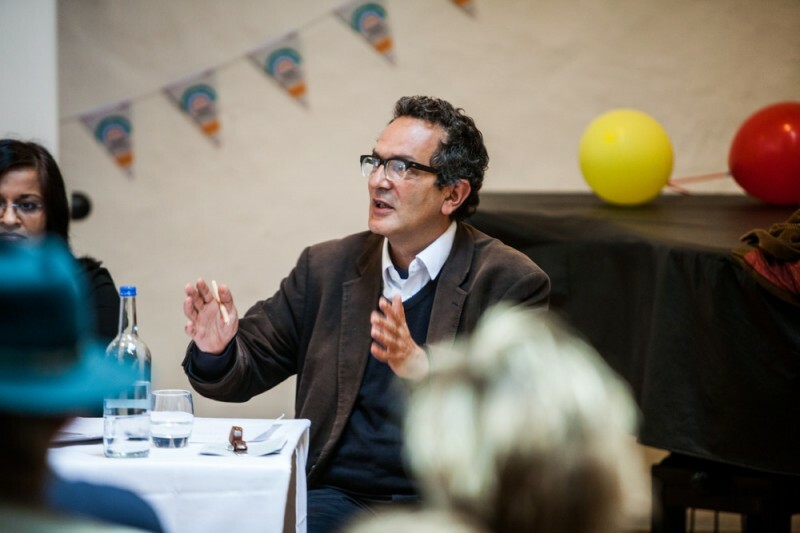 Part festival, part conference, part retreat, Interrogate was intended as a new way of engaging individuals and organisations alike in addressing social justice issues. Our brief as creative producers was slightly out of the ordinary: in 2011 we were asked to produce a programme focused on income inequality, and in 2012 one focused on happiness. The result? A punch-packing programme of performances, panel discussions, workshops, children’s activities and lots more aimed at getting speakers, performers and audience members to share their ideas, their beliefs and their vision for a way forward. Being a culturally curious bunch, we got a real buzz out of producing INTERROGATE! We got to commission new work, curate amazing gigs and create pop up happenings, involving theatre makers like Daniel Bye and Stan’s Cafe, musicians like Eddi Reader, Boo Hewerdine, Spiers & Boden, and comedians like Mark Steel. And as we created the discussion programme we had incredibly interesting conversations with all sorts of committed, intelligent and inspiring people. People like: Kate Pickett and Richard Wilkinson (authors of The Sprit Level), Andy Gibson from MindApples, social geographer extra-ordinaire Danny Dorling, Antony Seldon from Wellington College (whose definition of a quality education is just about the most moving thing we’ve ever heard), and David Randall, who created The Independent’s Happy List as an alternative to The Sunday Times’ Rich List. And as we moved to the festivals themselves, those conversations continued, a particular highlight being a Sunday brunch session which featured vast piles of scrambled eggs, mounds of newspaper and gallons of coffee, and was the only time we’ve ever had to ask panellists not to talk with their mouths full!